We provide Window Metallized Holographic Film to our client. 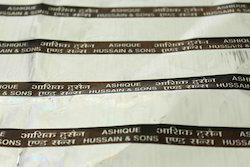 Allure Gift Wraps is the leading supplier of gift tissue and metalized holographic films manufacturer in India. Our holographic packaging films are PET/BOPP films with various holographic images embossed on them. We offer hologram films of different widths & thickness, depending upon the requirement of our clients. 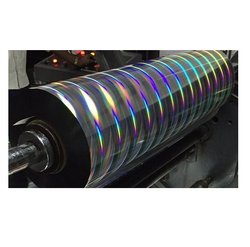 Our firm is actively involved in offering a wide assortment of Metalized Holographic Film that is extensively employed in the market. Holographics film is attractive by look and thus creates a positive impact in presentation and decoration. It solves the purpose of both attractive and secured packaging. This is ideal for flexible packaging. Custom pattern can be made as per requirements.